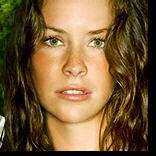 Lost Addicts Blog: Lost Season 6 Premiere Episode Title Revealed? Casting call out for the recurring character of LENNON. Lennon: Scruffy, edgy, charismatic, and slightly stir-crazy, Lennon can be deferential when it’s called for. He’s the spokesperson/translator for the president of a foreign corporation. He’s a wily negotiator, and far more powerful than his lowly position would seem to indicate. Recurring. Lennen is now cast ! Love all the Deadwood alum showing up on LOST! Interview with LOST director Jack Bender! careful with that interview....some might consider some of the questions and answers SPOILERISH because not everyone made the same assumptions about certain characters in question! "Super-famous Japanese actor Hiroyuki Shimosawa — best known stateside for his roles in The Last Samurai and Rush Hour 3 — is joining the sixth and final season of Lost, sources confirm to me exclusively. Doc and is crazy predictions lol. My guess is he's the guy Jin will give the watch to in America. I also thought he could be PAIK related...(even though he's not Korean). Maybe even a younger version of Sun's Dad. But since we're not predominantly doing flashbacks in season 6....and time travel is essentially over...I'm not so sure how that would play out! Mike I think they’ve been trying to prepare us for changes to the timeline. Here’s my idea of what they might do. What if time was changed and everyone is sent back to around one day before the 815 flight. The 8 losties that Jacob touched still have all their memories and try to stop the plane from taking off. However course correction changed a few details as well that convince everyone that they need to be on the plane. Way out examples lol: after a failed rescue by Jack, Kate is still under arrest and forced on the plane. Sawyer knowing Juliet is on the island gets on the plane. Jack still wants to be with Kate; Jin finds Sun missing and realizes she must still be on the island because she wasn’t in the past. Hurley goes to protect Libby, he even moves to the tail section so he crashes with her. Sayid is found dead in his hotel room with the gunshot wound he got in the past. Locke remembers everything, even the Dark Locke memories; he even gets out of his wheelchair to walk on the plane, and he’s pissed lol. Now when they crash it’s the same effect as when they crashed in the past. The six of them flash off the plane and reappear just after Jacob is killed. That way the last 5 seasons aren’t erased but we still continue the story. I'm okay with your scenario...in some form or another....as long as it's not too complicated for the audience to just shun the show! (I trust them enough after season 5 to know they won't do that! lol ) And I'm okay with any scenario that doesn't completely reboot time or have them lose their memories of what has happened. They spent too long shoving the Whatever Happened Happened mentality of time travel down our throats from season 3 to season 5 for them to all of a sudden alter it drastically! I'd like to see how Desmond fits into all of this too since "the rules don't apply to him" and everything. Ugh...that anticipation is killing me...and my REWATCH marathon is going extremely slow! (only on episode 8 of season 1!) Gotta be through them all by January 2010! It’s not a perfect theory, in fact it’s probably completely wrong lol but I have to do something with my time. Don’t think too much about the Kate and Hurley video. I think the videos they showed this year are just to give us an “idea” of what they have planned for the season. Just like at last years ComicCon where we saw time traveling bunnies but it was never brought up in the show. Remind me how the bunnies were addressed? All I remember is when Locke gave Ben rabbit for dinner he asked if there was a number on it. The comic-con video prior to season 4 was an outtake from the Orchid Orientation video where the system was malfunctioning and the rabbit supposedly time traveled or whatever. In the season 4 finale, Locke watched the Orchid Orientation video where they placed a rabbit into the "accelerator" or whatever (quantum leap speak)...and Locke asked Ben "is he talking about what I think he's talking about?" and Ben said "if you mean time traveling bunnies, then yes John that's what he's talking about" Now, the fact that time travel exists on the island has not been explained (and may never be)....but the Video showed at Comic-Con did play into the show as canon since it was an outtake of a video that we eventually saw the actual version of. Season 5's comic-con video with Chang talking to the camera and Faraday manning the camera never came to be (because they went a different direction with Faraday's character)....but the concept behind it still was addressed in season 5. So...like you were saying, and I was agreeing....what we saw with these video teasers for season 6...could be making us think about the possibilities of season 6 but might not be entirely accurate to what we're going to see! Paul: An overworked, harried male age 30-60 who finds himself in a highly adrenalized situation that forces him to remain calm and tests his ability to keep his wits about him — a test he fails miserably. Must be available for episodes 602 and 603. No new footage or anything but this is a season 6 teaser promo that they showed at the D23 Expo this past weekend. Just finished rewatching season 1. Amazing how much I had forgotten, especially all the foreshadowing. Walt: Mr. Locke, is your dad cool? Locke: No, no he isn't. I'm halfway through season 2 on my rewatch. Yeah, it's definitely a great refresher and great to see all of the gaps filling in with the information we've gotten all the way through season 5. Like the U.S. Military Knife that Goodwin was using that Ana Lucia questioned. How did that get on the island? Oh right...the US Military was there in 1954 and the OTHERS killed them off and took their stuff. Never even picked up on it until I rewatched "The Other 48 Days". Every time I see that smoke monster or a black horse or a crazy dream (yep even the dreadful Fire + Water episode), i'm wondering if there is any interaction with Jacob or the Man In Black with these encounters (or both!). It's great! btw...Kudos To Emerson on the Emmy win! 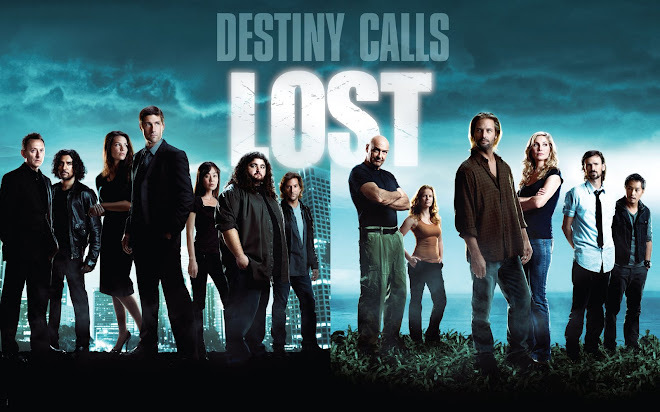 Hopefully, LOST will get recognized for it's series CLOSING season just like it did for it's OPENING season. Loved Doc Jensens comments about the name as well. New article on TVGuide.com. Not much info then we had already gleaned - but thought I'd put it out there. Definitely not what I'd call spoilers at all. I'll take any LOST news I can get. And that last sentence of the article made it worth the read! lol I'm so excited! Thanks for sending the link along MJ. Rewatch Update: I'm trying to get through a season a month. Last month was Season 1, this month season 2 (2 eps left), etc... So great to watch them again knowing what we know now (and i'm just going to have to do it again after seson 6!). Of course...hearing things like Cynthia W. (libby) won't be back and seeing that cliffhanger in Season 2's "DAVE" episode again kinda fires me up. But, like Jorge said...at least it will be covered somehow! Some Lost news on TV Guide.com . Is spoilery if you do not want to know who went to Hawaii to film some eps ! I read that a little earlier today too! I guess it's spoilery but like you said, only if you don't know who is going to be on the show this season. My guess is, for any character that has played some kind of significant role on the show during its run...they will try to get them back on the show to provide some closure. This does not indicate if anyone is alive, dead, rebooted timeline or anything. We've seen them bring back characters in so many different ways....so I'd say there are plenty of ways to incorporate all of these characters! The only thing we positively cannot get back is major screen time for 10 year old WALT! LOL or even the children from the tail-section, now that I think about it! Okay anyone keeping track we have episode 6's title now. Don't look if you don't want to know!! Sounds very Sun-centric to me! Also looks like the "centric" episodes seem to be going in the same order they did in season 1. Which would put Charlie's up 7th. Should be interesting to see if they keep up the trend! By the way, I must have missed the news on the announcement of episode 5's title. a supposed Jack-centric episode called: "The Lighthouse"
In other news, not sure if anyone has heard but it was confirmed that there will be no trailer featuring NEW season 6 footage prior to the season 6 premiere. I really like this idea, as much as I'm dying to see new footage! apparently, any footage would be too revealing to be shown prior to experiencing the episode. I'm sure there will still be a trailer though letting us reminisce on where we've been and preparing us for the FINAL season! So, expect a blog post when it is unveiled! Thanks MJ! Looks pretty much like the Comic-Con version from July but a little more "polished"! 3 more months...hard to believe 6 months have gone by! MJ, that was my first thought too but that was the Lamp Post! Could be related though! Matt Roush: Clearly, scheduling the final season of Lost will be no laughing matter. But I agree that it’s not in ABC’s best interests to jettison its new Wednesday comedy block just as it’s building up some steam, critically and some weeks in the ratings. (It’s a tough night, and ABC will need to be patient to see long-term growth; getting rid of Hank would be a good first step.) 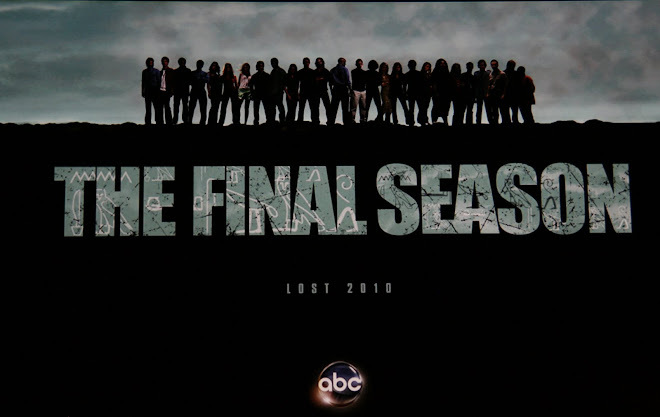 ABC has not yet announced just how it will schedule Lost in its final season, but wherever it airs, its fans will find it and follow it to the end. This final season isn’t going to be about ratings necessarily; Lost isn’t likely to grow in its final season, although many who’ve fallen away may tune in toward the end just to see how it wraps up. Which is why I wouldn’t be surprised if ABC puts it in one of the open 10/9c slots where shows currently are performing poorly: Tuesdays or, more likely, Wednesdays. This gets it out of the way of the American Idol juggernaut, and while I’d prefer it to air in a 9/8c time period as it has done the last few seasons, I don’t see an opening there, especially on Wednesdays, where the acclaimed Modern Family serves as the anchor for the comedy block. In the big picture, it’s more important for ABC to continue nurturing its terrific new comedies for the long haul than to worry too much about protecting Lost in its final stretch. Wherever it airs, we’ll be there. btw, also read in the twitterverse yesterday that the airing of season 6 may be broken up a bit due to the Olympics. I could see it starting the same week in january (like the 20th) taking a 2 week break for the Olympics, and then coming back and airing straight through. Remember we had 2 weeks during last season where there wasn't a new episode? Maybe this is how they deal with that this year. We'll see! FYI to any LOSTIES still checking the comments on this post: There is said to be a 15 second promo for Season 6 of LOST during FlashForward this Thursday! Obviously there will probably be no footage, but I'm sure even 15 seconds will make us go nuts! my bad...Austin Film Festival...not writer's convention! LOST Casts Atherton of Die Hard and Ghostbusters fame for the final season as a guest star. Read about all of the fun Tweeting from last night! Definitely spoilers if you don't know already or don't want to know so be careful! FYI - Depending on if I get to V tomorrow night, I may do a comboniation blog post of any recent LOST updates that I've been commenting on here and my thoughts on the V pilot. Wish I could do a full-fledged recap for it...but with FlashForward, Idol and LOST I'm going to be swamped in the spring! Hopefully we'll get more concrete info soon! You're not alone Kurt! I think I'm finally going to get to my rewatch (since its been over) this summer!